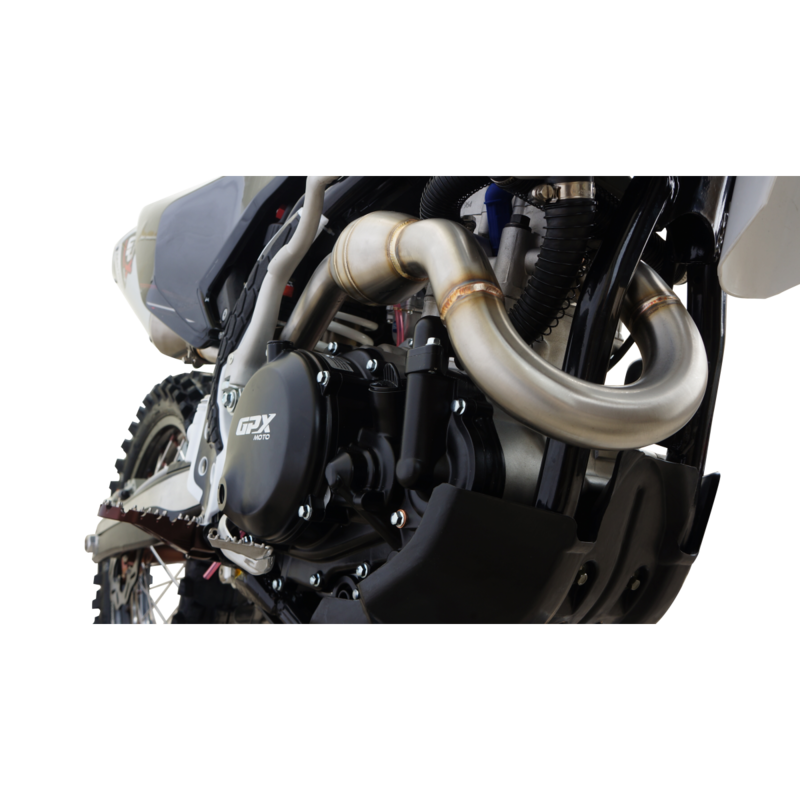 With a smooth 4-stroke 450cc water cooled engine and precise throttle response delivered via the Delphi EFI fueling system, the FSE450R is ready for any obstacle in its path. Other features include class leading service intervals for increased riding time and less wrenching. With its light weight chassis, confidence-inspiring stability and wide ratio transmission, the FSE 450R can slice through the tightest of terrain or cruise through the wide open desert with ease. If you are looking for performance and value, you can now have the both with GPXMoto enduro motorycles.